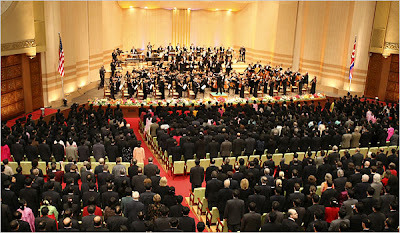 PYONGYANG, North Korea — Playing the national anthems of North Korea and the United States, and works including George Gershwin’s “American in Paris,” the New York Philharmonic Orchestra presented a landmark concert here Tuesday evening, the first time an American orchestra has been allowed to perform in the isolated, authoritarian country. On a stage flanked by the flags of the United States and North Korea, the orchestra performed works such as Dvorak’s “New World” Symphony and Bernstein’s overture to “Candide,” finishing to rapturous applause at the East Pyongyang Grand Theater. 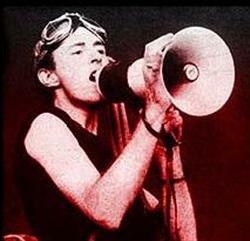 The concert was broadcast live on North Korean state television and radio, as well as around the world. I'm having an emotional morning...your post gave me the chills! The wonder of art to change the world. That really was an international event! Thanks for highlighting this today. Ellen is right, music is truly amazing. Happy WW. Very historic and hopeful occasion. My first thought was "oh crap, is it Wednesday?" But it is a great post.